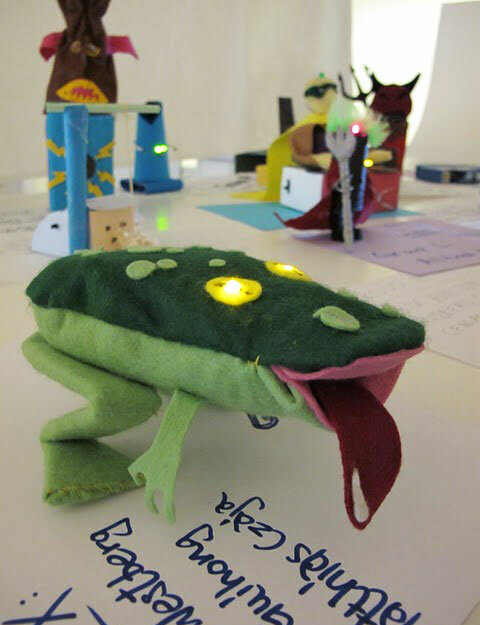 Here is a fun way for people to interact with robots: Tweenbots! It’s a project by Kacie Kinzer. 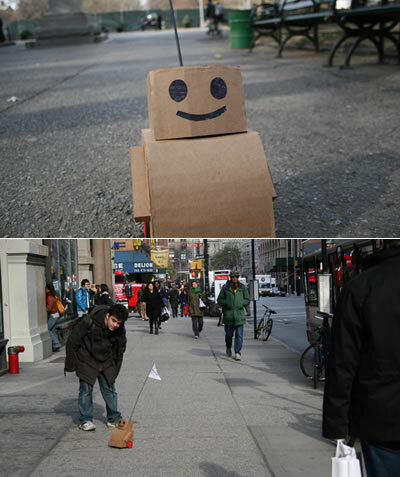 She created a number of small robots, put flags on them with destinations, and then sent them down the street in different directions, relying on people on the streets to help them reach their goals. Apparently, this worked pretty well! Many of the Tweenbots actually reached their intended destinations. Not even one of the bots was damaged or lost, which I think is incredible given this was in New York! Read more and watch the clip here! This year the bots also came in felt. Pics from the early labs are available here.